Boy, this was a doozy. The owner is from Indianapolis. It took us about 2 months to solve the transportation problem…getting a single from Indiana to Baltimore. Usually we offer transportation – but this time we were trying to keep costs low so we piggy-backed off a few trailers. The boat was “totaled” and the owner decided to get it repaired and repainted. 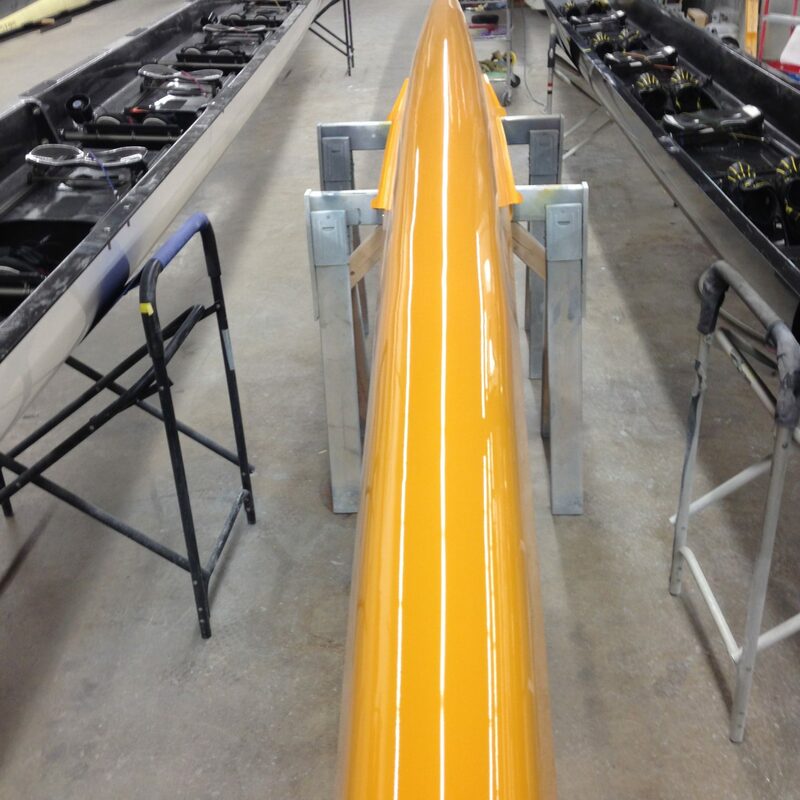 We stripped the boat down, filled in all the holes and laid a few pieces of clean carbon. The owner loves Mini Coopers and decided on this eclectic orange that stands out! 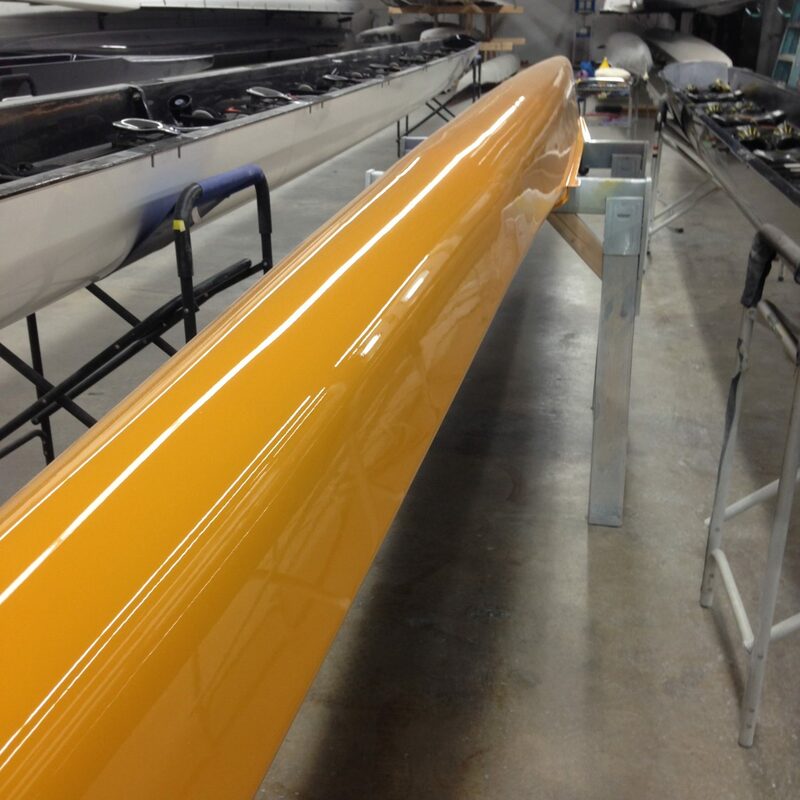 A few days in the paint booth and we finished with a beautiful repainted Vespoli 1x.